We have just received Look Smart’s 1:18 replica of the legendary Gilles Villeneuve’s Ferrari 312 T5 from the 1980 Canadian Grand Prix. The home hero crossed the finish line in fifth place. This equalled Gilles’ best result of the season, in what was generally an uncompetitive year for the Prancing Horse, after dominating the previous campaign. Villeneuve’s team-mate Jody Scheckter, the 1979 champion, only scored one points finish, and even suffered the ignominy of failing to qualify in Canada. 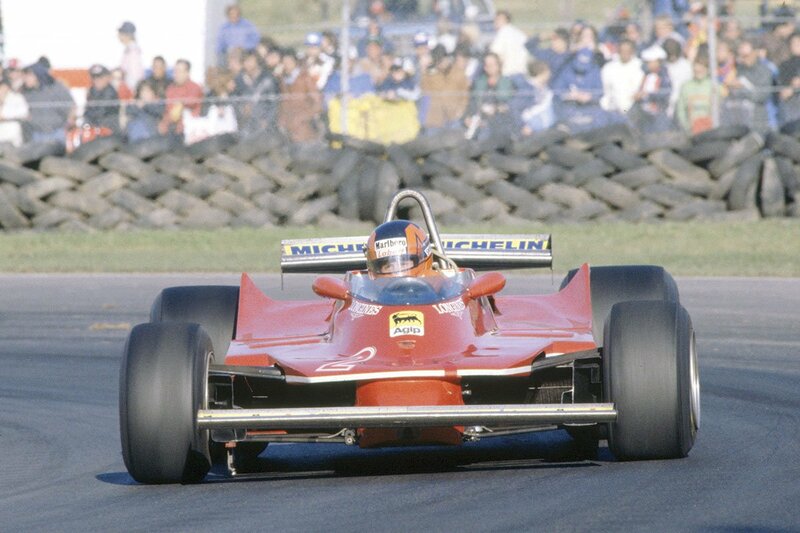 While Gilles also had a hard time of it, he was at his best when up against it, and reminded everyone of his phenomenal natural skill behind the wheel. Look Smart has done its usual impressive job on this replica, right down to the fabric seatbelts and perfectly mirrored finish on the front and rear wings. As usual with a 1:18 Look Smart model, it comes complete with its own display case. We were only able to bring 10 examples of this Gilles Villeneuve replica into the country. As no-one has ever replicated this car before, we don’t think it will be around for long.